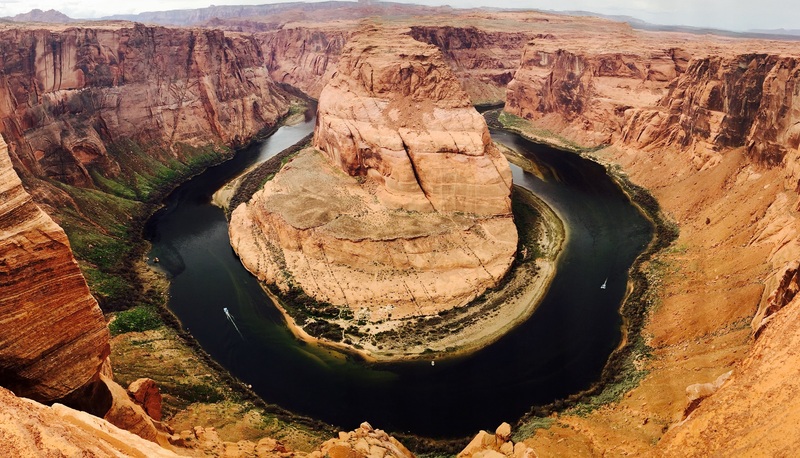 PHOENIX – A leading Christian geologist has filed suit against the U.S. National Park Service, alleging that they wrongfully discriminated against him on the basis of his religious beliefs by not allowing him to conduct research in the Grand Canyon. Dr. Andrew Snelling is a research geologist who currently serves as director of research at Answers in Genesis. In November 2013, Snelling requested permission to study sedimentary layers within the Grand Canyon. However, four months later, the National Park Service (NPS) denied Snelling’s request. According to a lawsuit filed by Alliance Defending Freedom (ADF) on behalf of Snelling, the NPS sought counsel from three geologists upon receiving Snelling’s request. All three criticized Snelling’s Christian faith and discouraged NPS officials from accepting his research request. On March 4, 2014, the NPS denied Snelling’s permit request, stating, “It has been determined that equivalent examples of soft-sediment folds can be found outside of Grand Canyon National Park.” When Snelling asked for the locations of the alternate sites, the NPS did not respond. In his lawsuit, Snelling argues that the geological features he wants to study are unique to the Grand Canyon. “This was in direct contradiction to Dr. Snelling’s position that his due diligence research had not disclosed any adequate alternate locations; that the folds that he sought to examine were unique to the Canyon location; and that a primary purpose of his proposed study was to evaluate these particular folds to determine when the folding occurred,” the lawsuit, which was filed in a U.S. District Court in Arizona, states. Snelling and his legal counsel believe that the NPS rejected his request because of his faith and biblical scientific viewpoints. A press release from Answers in Genesis proposed that NPS officials are worried that Snelling’s research findings would challenge the prevailing viewpoint of the Grand Canyon’s formation.